Mrs. Bluebird showed herself today. 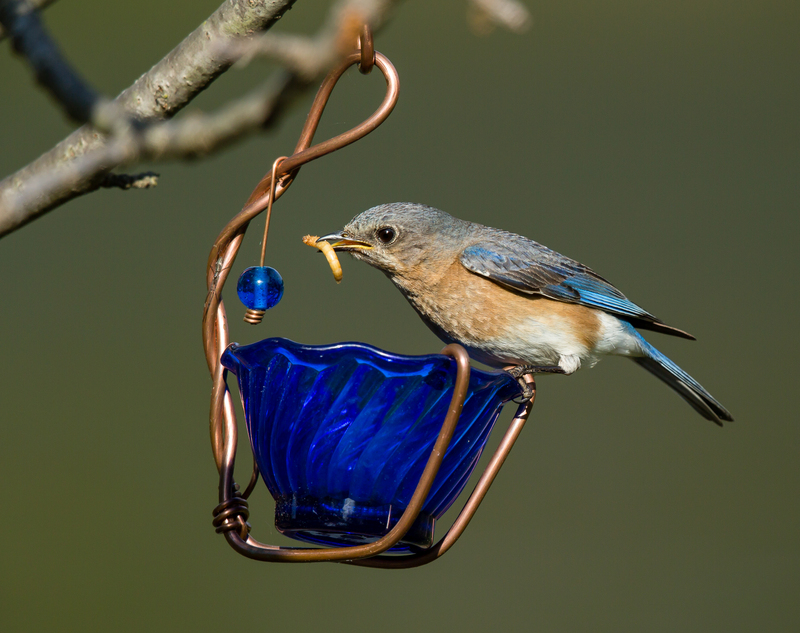 Mr. Bluebird has been charming and bringing mealworms to the Mrs. Bluebird and feeding her. I love hearing their little chirp in the trees, and they’re slowing getting accustomed to my presence. Mrs. Bluebird’s been rather busy at night, getting her family together. Yesterday when I checked the nest there were four eggs! 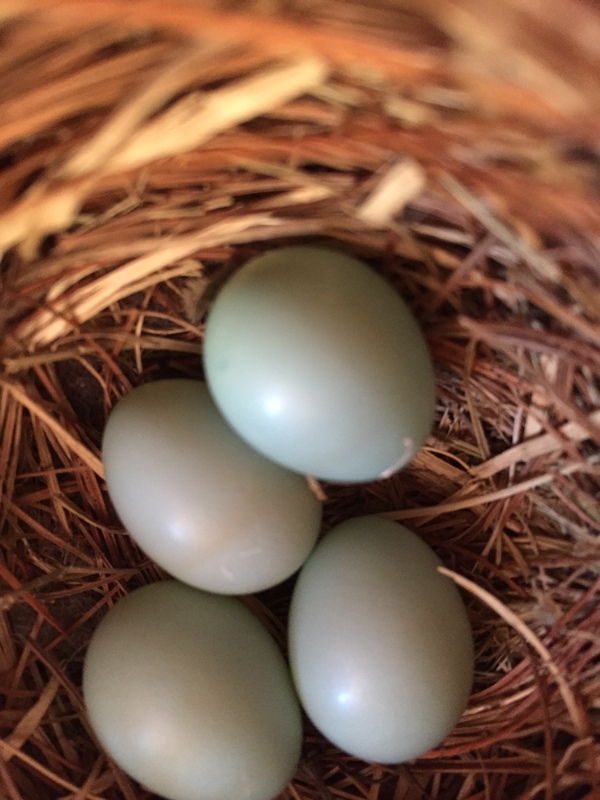 Bluebird eggs don’t begin incubating until the last egg has been laid. From that point, it takes 12 – 14 days for them to hatch. So we should be seeing baby bluebirds within the month. So it’s time to name our bluebirds, and so far three suggestions for names have been received. Would love to have you cast your vote for your favorite. I just saw a blue bird fly by our track this morning, your wonderful photos of an amazing bird really are worth seeing! You are truly too kind Kevin. Thank you so much! I think so too Shannon, and so do others. Two weeks..we can wait that long right? I would strongly advise against Lord Shiva and Kali – if you end up going with that replace Kali with Parvati, as Kali is also the goddess of death – not necessarily the best connotation! Now that’s interesting, I didn’t know that about the name Kali. Azure and Celeste are the winning names. I hope so too ! I’m watching 3 families now on the manor. How exciting is that? No good news for Zorro and Esperanza though. I think they gave up as of yesterday. Oh no! Who knows? They might surprise you yet! Aha…. I see I’m in the majority. 🙂 Gorgeous photos, Emily. Wonderful Sylvia. Thank you so very much for your kind comment. YES !! BLUES indeed. Momma is sitting on the eggs now.